“The proposed framework is more risk sensitive and incorporates additional risk attributes, including credit score, remaining amortization and outstanding loan balance,” Genworth said in its press release routed via Canada NewsWire. The draft requirements, which are slated to take effect on January 1 next year, specifically outline the volume of funds that federally-regulated mortgage insurers need to back their portfolios with. 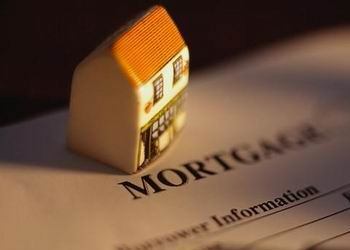 OSFI officials stated that the new guidelines were introduced to mitigate the risks surrounding Canadians who carry mortgage insurance—that is, those who paid less than 20 per cent of their residential property’s purchase price as down payment. “When house prices are high relative to borrower incomes, the new framework will require that more capital be set aside,” OSFI superintendent Jeremy Rudin stated in a September 23 press release. Rudin added that the requirements will help the mortgage insurance sector “withstand severe, but plausible losses” in the face of added risk. Genworth voiced support for what it called a “more risk sensitive capital model”. “We look forward to continued dialogue with OSFI and other key stakeholders, including customers, to ensure that the capital requirements in the new framework appropriately capture the underlying risk attributes,” Genworth president and CEO Stuart Levings said. Not sure what to think about insuring the insurers...Who will insure the insurers insurers?